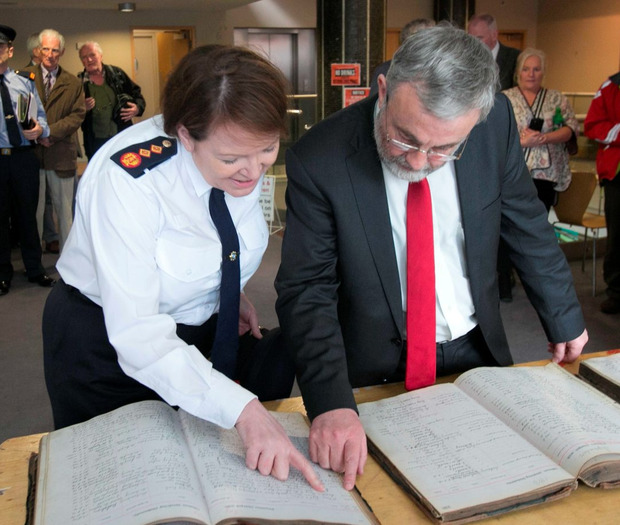 A treasure trove of police arrest records from one of the most pivotal times in Irish history has been returned to gardaí after sitting in an attic for almost a century. The arrest records of the Dublin Metropolitan Police are "arguably the most important documents to come to light in recent history", UCD Librarian Dr John B. Howard said at a ceremony at Liberty Hall in Dublin yesterday in which the library's recently digitised records were made public. The records - which went missing in 1924 - cover one of the most turbulent times in Irish history, including World War One, the 1913 Lockout and the 1916 Rising. They were found in a skip on a street in Clontarf by an eagle-eyed passerby in 2013 who turned them in the gardaí. Retired Store Street Det Supt Michael Finn contacted historian Padraig Yeates. Mr Yeates believes the previous occupants of the house were likely attached to the Bridewell garda station and took the books when records were being thrown out following the foundation of the Irish Free State in 1922.